The soothing and tranquilizing Pali Buddhist recitals presented with absorbing music in this recording were chanted by Buddhists for more than 25 centuries. 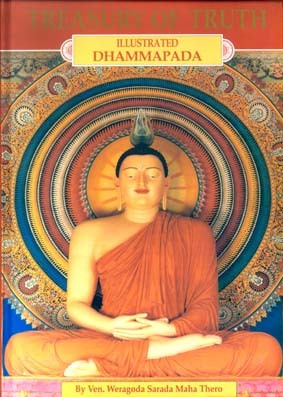 These include Maha Mangala Sutta, Ratana Sutta, Karaniya Metta Sutta, Jayamangala Gatha & Narasiha Gatha. 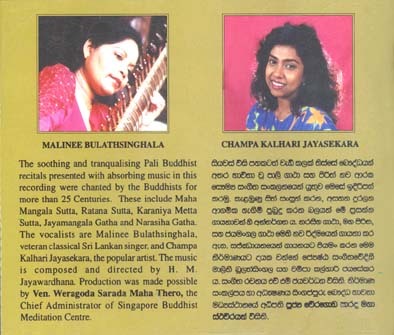 The vocalists are Malinee Bulathsinghala, veteran classical Sri Lankan singer and Champa Kalhari Jayasekara, the popular artist. The music is composed and directed by H. M. Jayawardhana. Production was made possible by Ven. 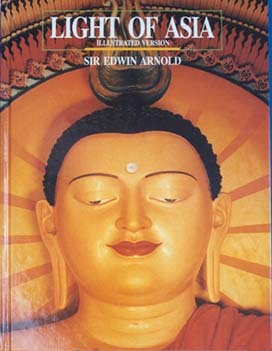 Weragoda Sarada Maha Thero, the Chief Administrator of Singapore Buddhist Meditation Centre. 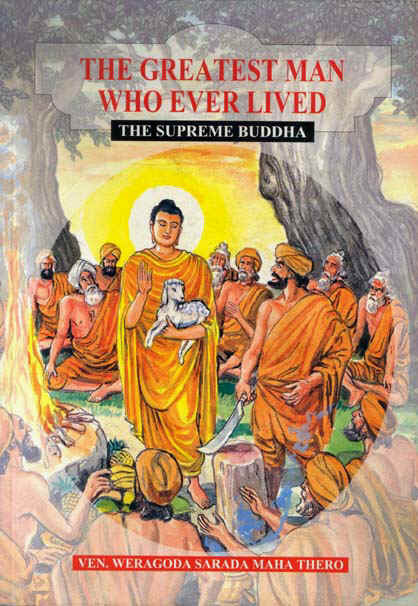 on the occasion of the Buddha’s first visit to Kapilavatthu after His Enlightenment. She explained some of the physical characteristics and noble virtues of the Blessed One. Camära chatta vibhusita pädo - Esa hi tuyha pitä narasiho. his feet are adorned with a chowrie (camara) and parasol. That, indeed, is your father, lion of men.